Today, the good folks at WordPress released the latest and greatest version of their amazing content management software – version 3.2 “Gershwin”. This newest version focuses on speed and compatibility, which I feel was a strong focus for this release. The interface has been streamlined, the database is quicker, greater support for mobile updating has been added and updates only download the files you need instead of re-loading the entire software. Not too shabby, WordPress. 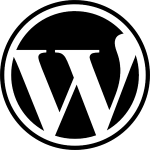 As a fan and follower of WordPress, VectorDefector will continue to offer quality websites that are light-loading, easy to update and are easy on the eyes. Contact us today to get started! Earlier this week, my friends CustomChannels.net – producers of CD quality internet radio “side channels” and I released yet another new version of their Flash online media players. This year, we decided to offer Flash solutions as well as Silverlight in order to cover the broadest market possible (and it actually has slightly higher quality audio). This iteration includes a fancy schmancy integration with my favourite OpenSource adserver, OpenX. I’ve written a number of PHP/mySQL plugins that alter the ad delivery mechanisms and allow the same demographic statistical tracking as the standard server package. With this in place, our stations are now far easier to upgrade and feature tracking on total unique listeners, number of ad impressions, and ad clickthroughs. This server even features a cost tracking ability which allows them to let their advertising customers literally pay-per-click. Eventually they’ll even be able to leverage it to sell on-air ad space. Way to find yet another method to get your loyal customers some bucks, guys! Check out some of our new stations on CustomChannels.net’s listen page. As you may know from reading some of my other postings, I’m always a huge fan of people who use the internet to stand up for their beliefs. In an interesting article posted on CNN, reports show a large scale Iranian resistance to the latest political “election” over the internet. I think its fantastic to hear people standing up against this crazy theocracy they call a government, and moreso great to hear of more middle-eastern countries using the internet as a protest tool. While the government is doing a good job of cracking down on political discourse, online Iranians are holding to their convictions strongly. I support them – Iran could really show its colors in the middle-east right now!